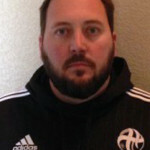 Austin Guest currently holds a USSF “B” License, Coerver Youth Diploma and NSCAA Regional GK Diploma. Coach Austin has extensive knowledge of the beautiful game. Coach is currently Midlothian High School Varsity Soccer Coach for the Boys and Varsity girls Assistant Coach with over 19 years coaching Varsity soccer. In 2003 Coach led Midlothian to a State Championship. He has also accumulated 17 District Championships and 18 District Coach of the Year awards. In 2003 Coach was awarded NSCAA State and Regional Coach of the Year and TASCO awarded Coach with Regional Coach of the Year in 2010. Guest has over 400 high school wins and also coached for five years as head coach at Southwestern AG University. As a player, Guest is a TCU Varsity Letterman, played 11 years in the USL with numerous All-Star appearances along with his USL All-Star USSR Tour.